Hello everyone, I hope you’re all having a fabulous bank holiday weekend. Don’t you find that having just one extra day off work can have such a positive effect on your mind and body?! I was out and about for the whole of yesterday and because I had some extra time to get ready I went for a glamorous yet wearable daytime look. I really liked the end result because it was a Spring appropriate look that lasted ALL day. For the base I used my current favourite foundation Estee Lauder Double Wear Foundation, 4N2 Spiced Sand and blended a small amount around my face. To erase my panda eyes I used L.A. Girl Pro-Conceal in Medium Beige in a triangle shape under my eyes and took it onto my eyelids as well. I didn’t powder my face as the foundation dries matte, so I just dusted some of my Ben Nye Pressed Banana Powder on the under eyes to stop the concealer from creasing. For the eyes I used colours from the Makeup Revolution I Heart Chocolate Palette. To ensure my shadow didn’t budge I primed my eyelids first with Urban Decay Primer Potion in Sin. First I blended “One More Piece” as my transition colour in the crease of my eyelid and placed “Thank Friday” all over the lid. I then took “Love Divine” into the outer third of the eye and blended out. To deepen the colour a bit I took “Love Tom” into the outer V and blended out. To finish I used a bit of “Smooth Criminal” on the eyelid and “More” as a brow bone highlight. For eyeliner I used my trusty Urban Decay 24/7 Waterproof Liquid Liner in Perversion and for mascara I used Bourjois 1 Volume Seconde Waterproof for the top lashes only. I actually never use liner on my waterline or any product on my bottom lashes because it closes up my eyes and doesn’t suit my eye shape. My eyebrows were filled in with my current obsession, Anastasia DipBrow Pomade in Ash Brown. For the cheeks I went with MAC Ambering Rose which is such an amazing colour that adds warmt and a fresh pop of shimmery pink to the cheeks. 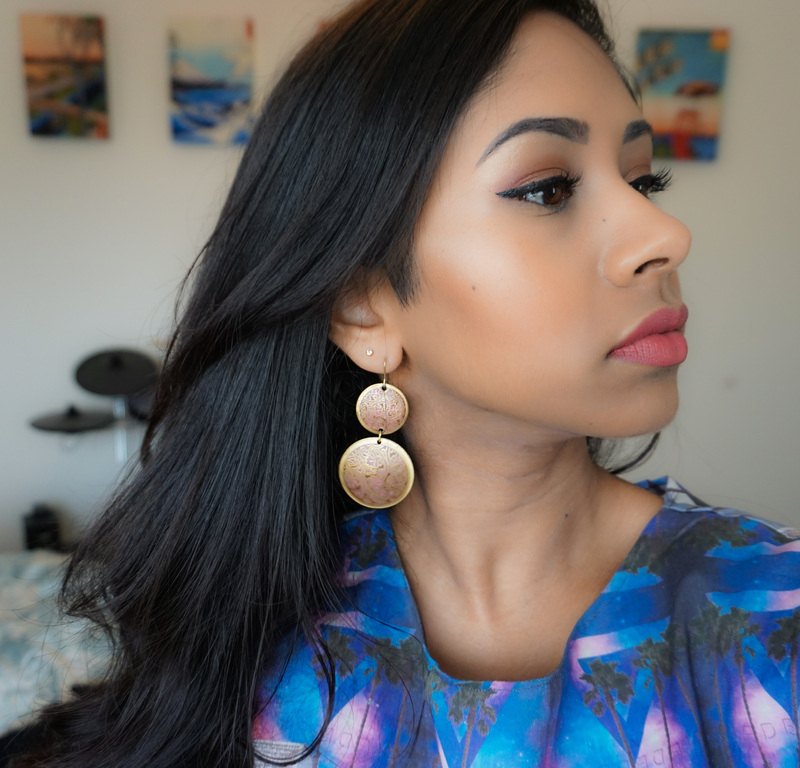 To add extra glow I brushed my cheekbones with Kevyn Aucoin Celestial Powder in Candlelight. 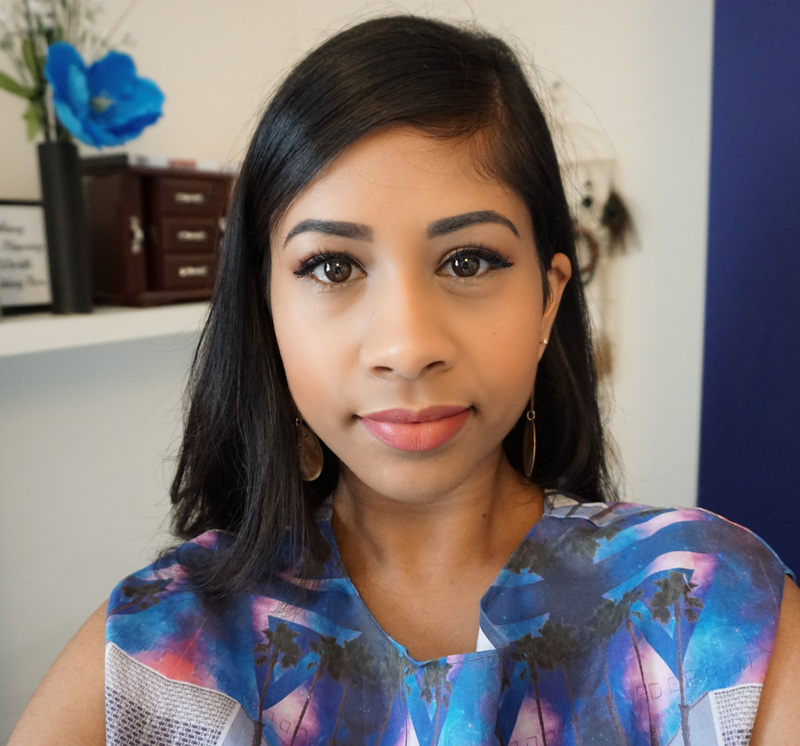 To finish of the complete look I chose Bobbi Brown lipstick in Rose which is one of my all time favourite lipsticks. 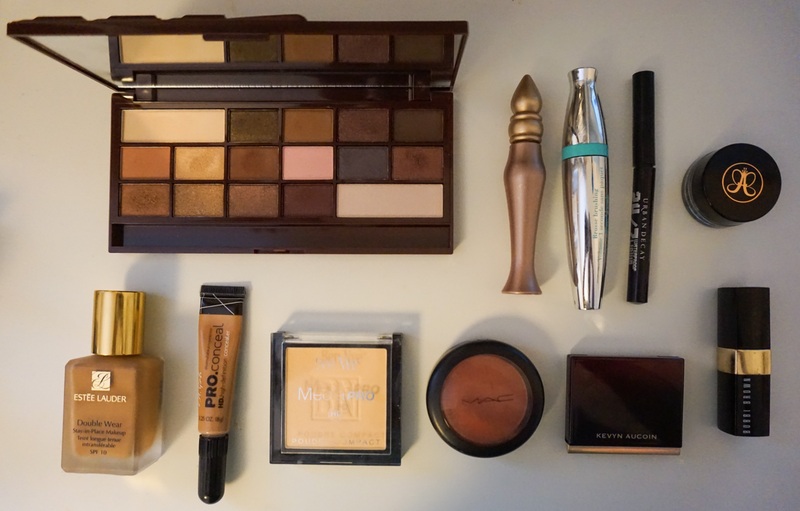 That eye shadow palette is dreamy and you look AMAZING! Great job with blending out everything – especially love the highlighter on you! Gorgeous look! 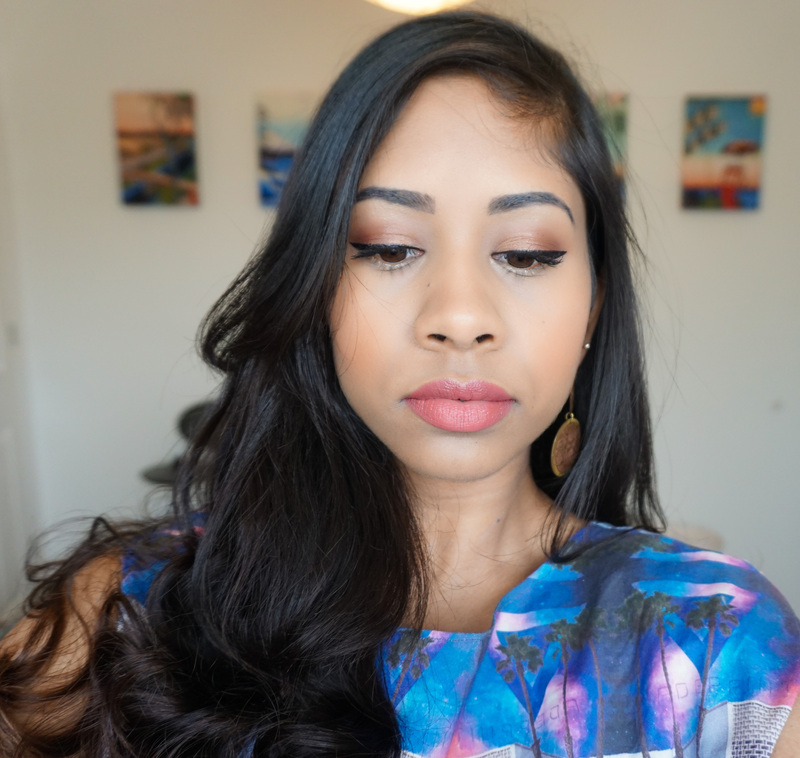 Bobbi brown lipstick in Rose is a stunner!